Photo: American Redstart (Setophaga ruticilla) by David Lewis. 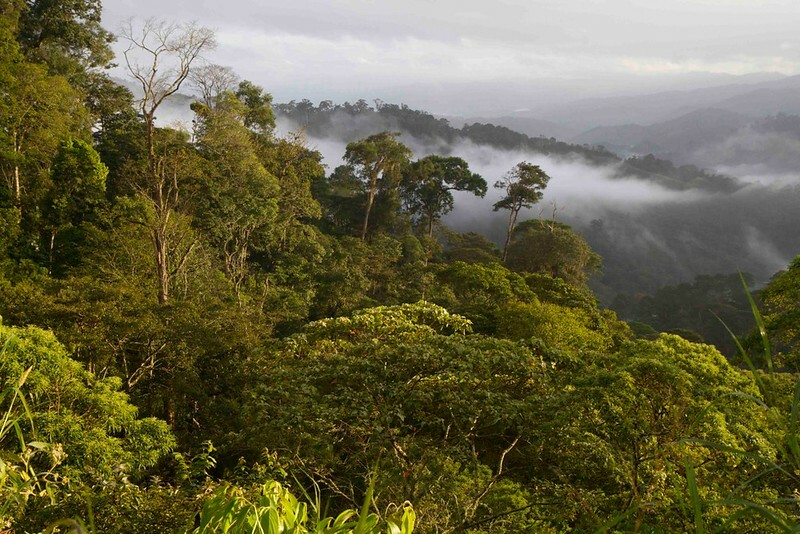 By simply drinking the right coffee, coffee lovers can help preserve over 250,000 acres of prime tropical habitat and biodiversity, save birds, family farms, workers jobs and the Earth we all share. Doug Hardy founded and runs the Norwich Vermont Birds & Beans Coffee Club. Since November 2012 the Club has purchased nearly 6,000 pounds of our Smithsonian certified shade grown, Organic and Fair Trade ‘Bird Friendly®’ supporting migratory birds and family coffee farms. We undertook bird surveys on organic coffee farms in Nicaragua and on organic dairy farms in Minnesota, North Carolina, Ohio and Vermont. These 2014 surveys turned up significant numbers of birds – both species and individuals – many more than were on the eco-deserts of sun/chemical coffee farms or on large scale mono-crop farms in the US. Above: Sunrise at San Juan del Rio Coco, Nicaragua. The highlands of northern Nicaragua, a productive shade coffee-growing region and refuge for migratory birds in winter. Photo by Scott Weidensaul. Americans drink over a third of the world’s coffee. If we all buy and drink Bird Friendly certified coffee, songbirds, farmers and future generations of bird lovers will be sure that the birds return every year.